This article is about a major city in Russia. For the town previously known as Chelyabinsk-40 and Chelyabinsk-65, see Ozyorsk, Chelyabinsk Oblast. Chelyabinsk (Russian: Челя́бинск, IPA: [tɕɪˈlʲæbʲɪnsk] ( listen)) is a city and the administrative center of Chelyabinsk Oblast, Russia, located in the northeast of the oblast, 210 kilometers (130 mi) south of Yekaterinburg, just to the east of the Ural Mountains, on the Miass River, on the border of Europe and Asia. Population: 1,130,132 (2010 Census); 1,077,174 (2002 Census); 1,141,777 (1989 Census). The site is known by the Russian archaeologists for at least 70 years as Sintashta-Petrovka cultural area of ancient Aryans, but it was often ignored in the Anglo-American historical scholarship. Sintashta-Petrovka cultural area runs along the eastern Urals of the Eurasian steppe for about 400 km south of Chelyabinsk and to the east for about 200 km. There are 23 sites recognized as belonging to this group. The Sintashta burials, and those found at other Arkaim sites, vary greatly in detail. These burials provide archaeological evidence of the burial rituals set down in the Rig Veda and Avesta and, thus, these are called Indo-Iranian. The sites have been called “towns” and, most of them have been discovered through aerial photography; they are laid out in round, square, or oval shapes. While only two of these “towns,” Arkaim and Sintashta, have been excavated largely, they are characterized as being fortified, having connecting houses, and having extensive evidence for metallurgy . The excavation of the burial sites at Sintashta has provided archaeological evidence for numerous aspects of the burial rituals set down in texts of Rig Veda and Avesta . The fortress of Chelyaba, from which the city takes its name, was founded at the location of the Bashkir village of Chelyaby (Bashkir: Силәбе, Siläbe) by colonel Alexey (Kutlu-Muhammed) Tevkelev in 1736 to protect the surrounding trade routes from possible attacks by Bashkir outlaws. During Pugachev's Rebellion, the fortress withstood a siege by the rebel forces in 1774, but was eventually captured for several months in 1775. In 1782, as a part of Ufa Viceroyalty that was later reformed into Orenburg Governorate, Chelyabinsk became a seat of a its own uyezd and finally was granted town status and its current name in 1787. Until the late 19th century, Chelyabinsk was a small provincial town. In 1892, the Samara-Zlatoust Railway was completed which connected it with Moscow and the rest of European Russia. Also in 1892, construction of the Trans-Siberian Railway from Chelyabinsk started and in 1896 the city was linked to Ekaterinburg. Chelyabinsk became the hub for relocation to Siberia. For fifteen years more than fifteen million people - a tenth of Russia - passed through Chelyabinsk. Some of them remained in Chelyabinsk, which contributed to its rapid growth. In addition, in Chelyabinsk was organized custom office set "customs fracture" the bounding duty-free grain and tea to the European part of the country that led to the emergence in mills and set the tea-packing factory. Soon Chelyabinsk started turning into a major trade center, its population reached 20,000 inhabitants by 1897, 45,000 by 1913, and 70,000 by 1917. For rapid growth at the turn of the 20th century, similar to American cities, Chelyabinsk called "Behind the Urals Chicago". During the first Five-year plans of the 1930s, Chelyabinsk experienced rapid industrial growth. Several establishments, including the Chelyabinsk Tractor Plant and the Chelyabinsk Metallurgical Plant, were built at this time. During World War II, Joseph Stalin decided to move a large part of Soviet factory production to places out of the way of the advancing German armies in late 1941. This brought new industries and thousands of workers to Chelyabinsk. Facilities for the production of T-34 tanks and Katyusha rocket launchers existed in Chelyabinsk. During World War II, it produced 18,000 tanks, and 48,500 tank diesel engines as well as over 17 million units of ammunition. In the press of the time Chelyabinsk was informally called Tankograd or Tank City. The S.M. Kirov Factory no. 185 was moved here from Leningrad to produce heavy tanks; it was transferred to Omsk after 1962. The meteor created a momentary flash as bright as the sun and generated a shock wave that injured over a thousand people. Fragments fell in and around Chelyabinsk. Interior Ministry spokesman Vadim Kolesnikov said 1,100 people had called for medical assistance following the incident, mostly for treatment of injuries from glass broken by the explosions. One woman suffered a broken spine. Kolesnikov also said about 600 square meters (6,000 sq ft) of a roof at a zinc factory had collapsed. A spokeswoman for the Emergency Ministry told the Associated Press that there was a meteor shower; however, another ministry spokeswoman was quoted by the Interfax news agency as saying it was a single meteor. The size has been estimated at 17 meters (56 ft) diameter with a mass of 10,000 or 11,000 metric tons. The power of the explosion was about 500 kilotons of TNT (about 1.8 PJ), which is 20–30 times more energy than was released from the atomic bomb exploded in Hiroshima. Luckily, thanks to the high altitude of the explosion the city managed to avoid large casualties and destruction. 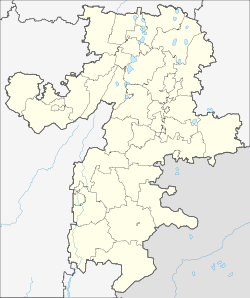 Chelyabinsk is the administrative center of the oblast. Within the framework of administrative divisions, it is incorporated as the City of Chelyabinsk—an administrative unit with the status equal to that of the districts. As a municipal division, the City of Chelyabinsk is incorporated as Chelyabinsky Urban Okrug. In June 2014, Chelyabinsk's seven city districts were granted municipal status. The city has a warm summer humid continental climate (Köppen: Dfb) farther north than found on Canadian prairies. The average temperature in January is well below the freezing point (-14°C/6.6 °F), but July has a relatively cool average (19°C/66.7 °F), and the annual average is a few degrees above zero Celsius (3°C/37.8 °F), indicating still some moderation. The range of extremes allegedly reaches 70°C/158 °F, claimed to be typical of a mid-latitude climate on a large continent such as Eurasia. The highest precipitation is concentrated in the summer, reducing in the winter. July, month with higher precipitation is 87mm/3.44'' and January, driest month is 15mm/0.6''. Altogether they are 16.9" of annual precipitation and therefore approaching with a semi-arid climate. It is 119 rainy days a year, but the first month of the year records only one tenth of a day. The architecture of Chelyabinsk has been shaped through its history by the change of historical eras in the development of Russia. Before the revolution of 1917 the city was a trading centre, with numerous merchant buildings in the eclectic and modern styles with elements of Russian Revival architecture, some of which are preserved on Kirovka St., a street reserved for pedestrians. Industrialization started in the late 1920s. The construction of large plants was accompanied by the construction of a brand new residential and public buildings in the constructivist style. Entire constructivist neighborhoods can be seen in the area of the Chelyabinsk Tractor Plant (CTZ, ChTZ). In the late 1930s a new era began in the city, came associated with construction of monumental buildings in Stalinist style. The city center and central avenue are constructed in substantially this style. The next 60 years saw intensive construction of housing tower blocks as the city's population rose to about one million; note on the map the large residential area called "Severo-Zapad" (English: North-West). With the market reforms of the '90s the city began intensive construction of office buildings for business and major shopping malls in postmodern and high-tech styles. Chelyabinsk has seventeen public parks. The largest of them is one of the best in Russia - Chelyabinsk Central Park, named after Gagarin. Its territory is saved in the urban forest, where, among pine trees and granite rocks there are several picturesque ex-quarries now flooded with water. There are over a dozen universities in Chelyabinsk. The oldest, Chelyabinsk State Agroengineering Academy, was founded in 1930. It was followed by the Chelyabinsk State Pedagogical University in 1934. The main ones are South Ural State University, Chelyabinsk State University, and Chelyabinsk Medical Academy. After World War II, Chelyabinsk became the main center of vocational education of the entire Ural region. Chelyabinsk-City Office Center. 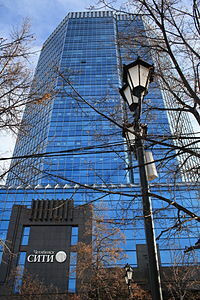 Tallest building in Chelyabinsk. Chelyabinsk Watch Factory "Molnija" produces pocket, souvenir watches and technical watches for aircraft and ships. In 1980, the clock "Molnija" were given as gifts to participants of the Moscow Olympic Games. Agro-industrial company "Makfa", Russia's largest producer of pasta, one of the five largest world producers of pasta. "Unichel" shoe firm is the largest manufacturer of footwear in Russia. Agricultural firm "Ariant" - leader in the production of meat products in the Urals Federal District of Russia, produces alcoholic and non-alcoholic beverages. American multinational corporation Emerson buying up shares of local businesses "Metran" organized in Chelyabinsk engineering center, building a factory for the production of industrial devices and equipment. In recent years, Chelyabinsk significant role in the economy of the early play services, banking and insurance activities, logistics centers, tourism. The city is the central offices of major regional banks as "Chelindbank" and "Chelyabinvestbank". There are several large shopping malls. The largest of them are Gorky (English: Hills) (2007), with an area of 55,000 meters2, and Rodnik (English:Spring) (2011), 135,000 meters2. At least two more are under construction: Almaz (English: Diamond) (2015), 220,000 meters2, and Cloud (2018), 350,000 meters2. Public transport of Chelyabinsk is represented by a bus lines network (since 1925), tram (1932) and trolleybus (1942) systems, as well as private marshrutka (routed cab) services. The city has several taxi companies. In 2014 in Chelyabinsk began to run electric buses (hybrid trolleybus and electric car). Beeline and Chelyabinsk city electric transport in 2011 signed an agreement to provide passengers free internet. Currently Wi-Fi is available in some public trams and trolleybuses in Chelyabinsk. Chelyabinsk started construction of a three-line subway network in 1992. The city is served by the Chelyabinsk Airport. In 2012, for the first time in Russia, Chelyabinsk hosted the European Judo Championship (Euro 2012). In 2014 the World Championship in Judo were held and in 2015 the European Speed Skating Championships as well as the World Taekwondo Championships held. IIHF World U18 Championship was held in 2018 (along with Magnitogorsk). 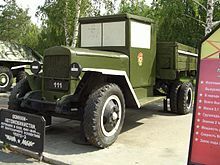 Museum of military equipment in the garden of Victory was founded in 2007. It is 16 eksponantov, including T-34, IS-3 tanks and multiple rocket launchers "Katyusha" produced in Chelyabinsk during the World War II. 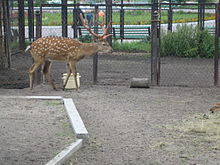 Chelyabinsk Zoo is located in the central region of Chelyabinsk. Has an area of 30 hectares with more than 110 species, of which more than 80 listed in the Red Book. Zoo participates in international programs for the conservation of endangered species, including Amur (Siberian) tigers, Far Eastern leopards and Polar bears. The zoo regular sightseeing tours, lectures, exhibitions and celebrations. City also has a circus building and a Concert Hall. Prokofiev Hall of organ and chamber music with organ-known German company "Hermann Eule". The instrument consists of 2504 pipes, 37 registers, three manuals and pedal keyboard. Its sound is a rare gentleness and generosity sound basic votes. 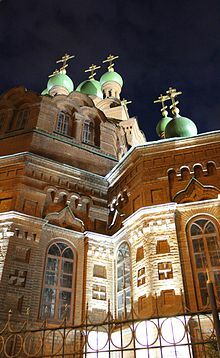 In the city of Chelyabinsk there are several churches built in the 19th to 21st centuries. ^ a b c "Chelyabinsk - Russia". Retrieved September 21, 2017. ^ "Челябинск сегодня – Визитная Карточка". Администрация г. Челябинска. Archived from the original on February 3, 2012. ^ "Information about central postal office" (in Russian). Archived from the original on March 3, 2016. ^ "Investing in Chelyabinsk city". Invest in Russia. Retrieved February 14, 2013. ^ "Invest in Ural". Invest in Ural. Archived from the original on February 24, 2013. Retrieved February 14, 2013. ^ "Ancient Aryan civilization achieved incredible technological progress 40 centuries ago". Pravda. ^ Basu, Dipak (2017). India as an Organization: Volume One. Palgrave Macmillan. p. 23. ISBN 978-3-319-53372-8. ^ "Челябинск: Ворота в Сибирь и Зауральский Чикаго". Портал Челябинская область. ^ Campbell-Brown, Margaret. "What Do We Know about the Russian Meteor? Meteor researcher Margaret Campbell-Brown recaps the latest research into the cause of this morning's fireball over Chelyabinsk". Scientific American (Interview). Interviewed by John Matson. Retrieved December 24, 2017. [Interviewer:] Where was most of the energy released as this object made its way through the atmosphere? [Subject:]In this case the final destination, which seems to have been the largest deposit of energy, was somewhere around 15 to 20 kilometers altitude. The actual fireball probably started significantly higher than that, maybe 50 kilometers, but most of the energy was apparently deposited during that last explosion lower in the atmosphere. ^ "Meteorite hits Russian Urals: Fireball explosion wreaks havoc, up to 1,200 injured (PHOTOS, VIDEO)". RT. February 15, 2013. ^ Plait, Phil (February 15, 2013). "Breaking: Huge Meteor Blazes Across Sky Over Russia; Sonic Boom Shatters Windows [UPDATED]". Slate. Retrieved February 15, 2013. ^ "Meteor strikes Earth in Russia's Urals". Pravda. Retrieved February 15, 2013. ^ "400 Injured by Meteorite Falls in Russian Urals". Associated Press. Retrieved February 15, 2013. ^ Agle, D. C. (February 13, 2013). "Russia Meteor not Linked to Asteroid Flyby". NASA news. NASA. Retrieved February 15, 2013. ^ Sreeja, VN (March 4, 2013). "New Asteroid '2013 EC' Similar To Russian Meteor To Pass Earth At A Distance Less Than Moon's Orbit". International Business Times. Retrieved March 9, 2013. ^ Yeomans, Don; Chodas, Paul (March 1, 2013). "Additional Details on the Large Fireball Event over Russia on Feb. 15, 2013". NASA/JPL Near-Earth Object Program Office. Retrieved March 2, 2013. ^ История Челябинска - от крепости до железнодорожной станции (in Russian). Портал Челябинская область. ^ "Холмы Челябинска". Электронное периодическое издание Mediazavod.ru. ^ a b "Chelyabinsk, Russia Köppen Climate Classification (Weatherbase)". Weatherbase. Retrieved November 13, 2018. ^ "Weather and Climate (Погода и Климат – Климат Челябинска)" (in Russian). Pogoda.ru.net. Retrieved December 13, 2012. ^ "World Weather Information Service – Cheljabinsk". World Meteorological Organization. Retrieved December 13, 2012. ^ "Конструктивизм в архитектуре Челябинска" (in Russian). ^ "Парк Гагарина в Челябинске попал в топ-5 лучших в России". ^ "В Челябинске начали производство 100-тонных самосвалов". ^ "Часовой завод "Молния"". Archived from the original on July 11, 2014. ^ "Вице-президент Emerson Process Management в Восточной Европе: "В Челябинске есть свой маленький центр «Сколково"". ^ "Chelyabinsk". UrbanRail.net. Archived from the original on May 17, 2013. Retrieved January 31, 2014. ^ "Sister cities". Archived from the original on September 8, 2013. Retrieved July 5, 2013. ^ www.pinstudio.ru. "Филиалы - Visa Management Service". www.italyvms.ru. Retrieved September 21, 2017. ^ "La rete consolare". www.ambmosca.esteri.it. Retrieved September 21, 2017. Законодательное Собрание Челябинской области. Закон №706-ЗО от 10 июня 2014 г. «О статусе и границах Челябинского городского округа и внутригородских районов в его составе». Вступил в силу со дня официального опубликования. Опубликован: "Южноуральская панорама", №87 (спецвыпуск №24), 14 июня 2014 г. (Legislative Assembly of Chelyabinsk Oblast. Law #706-ZO of June 10, 2014 On the Status and Borders of Chelyabinsky Urban Okrug and the City Districts It Comprises. Effective as of the day of the official publication.). Anne Garrels, Putin Country: A Journey Into The Real Russia (New York: Farrar, Straus and Giroux, 2016). Lennart Samuelson, Tankograd: The Formation of a Soviet Company Town: Cheliabinsk, 1900s–1950s (Basingstoke, Palgrave Macmillan, 2011). Wikivoyage has a travel guide for Chelyabinsk. Chisholm, Hugh, ed. (1911). "Chelyabinsk" . Encyclopædia Britannica (11th ed.). Cambridge University Press.